This year’s library of the year awards popularly known as the Maktaba Awards happened at the Leakey Auditorium, National Museum alongside the Storymoja Festival that was happening at the same venue. 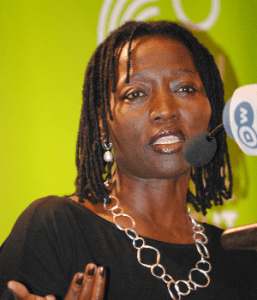 The key speaker for the event was Dr Auma Obama who was also the Storymoja festival patron. This year it was the time for the Aga Khan institutions to shine as the Aga Khan University was crowned overall library winner as Aga Khan Academy, Mombasa was awarded best private school. Previous Previous post: Nairobi International Book Fair now on.